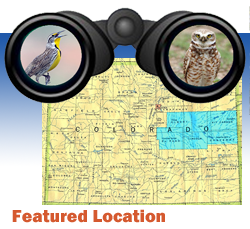 Description: This location provides access to the South Platte River riparian corridor. Directions: Take I-76 Exit 90B and go north on Colorado Highway 71 1.5 miles to junction with CR-28 and continue east on 71 for 3.5 miles. Parking is at the intersection with CR-W.